One of the most lucrative tax deductions for homeowners is the mortgage interest deduction. The deduction is the government's way of incentivizing people to become home owners by offering a significant tax break. While effective, it's inherently unfair. Those who can afford to buy a home are rewarded with a reduced tax liability thanks not just to the mortgage interest deduction, but also the deduction of property tax payments. The ability to take advantage of these deductions opens up the entire Schedule A Itemized Deductions that often leads to%VIRTUAL-pullquote-"The upwardly middle-class, aged 25-35, who have not yet reached their peak earning years, with no home, no kids, are the ones who receive no benefit from the existing tax code. "% substantial deductions for things like: charitable contributions, medical expenses, vehicle registrationfees and state income taxes paid, just to name a few. This benefit enables taxpayers to often double, triple and even quadruple the amount of the standard deduction taken by taxpayers who don't own homes. The less fortunate don't miss out completely. The Earned Income Credit, which can refund as much as $5,666 with three qualifying children, can bring significant tax benefits for low income individuals and families. Taxpayers with dependent children receive extra dependency exemptions: the child tax credit, dependent care credit, additional child tax credit and tax credits for post-secondary education costs, to name a few. The very wealthy or the elderly on fixed incomes may have paid off their homes and aren't eligible for the mortgage interest deduction. 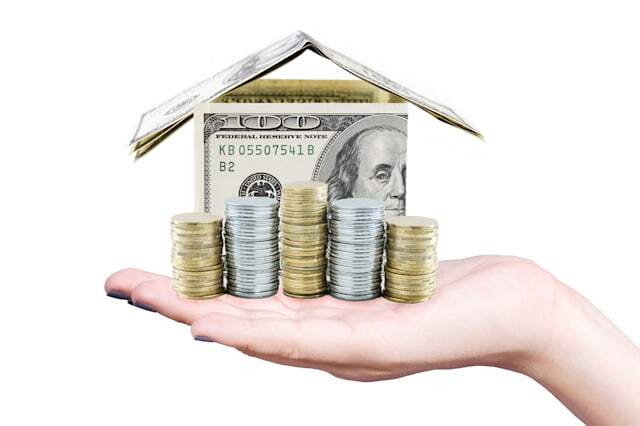 However, they tend to enjoy lower tax rates for capital gains income from their investments. There seems to be a little bit of something for everyone. Not necessarily. I can easily construct a situation in which a taxpayer essentially enjoys no tax benefits whatsoever. How about the single individual or possibly a married couple without children, who make just enough to make ends meet but still cannot save to buy a house? Or possibly, they prefer renting to the onerous commitment of home ownership. There doesn't appear to be any tax breaks for them. Jason Fichtner, senior research fellow at the Mercatus Center at George Mason University agrees. "The upwardly middle-class, aged 25-35, who have not yet reached their peak earning years, with no home, no kids, are the ones who receive no benefit from the existing tax code." Fichtner along with research analyst Jacob Feldman have written a paper, "Reforming the Mortgage Interest Deduction," proposing the replacement of the mortgage interest deduction with a fixed $900 tax credit for all taxpayers with a mortgage. Fichtner states, "It would be revenue neutral and would encourage homeownership without encouraging greater debt-financing by home purchasers." According to the report, in 1986 when the deduction for consumer debt was repealed, taxpayers began to shun credit card debt in favor of increasing debt secured by their personal residences. Fichtner is also in favor of the Tax Reform Act of 2014 by House Ways and Means Chairman David Camp (R-Mich.), which would repeal the mortgage deduction and replace it with a higher standard deduction. The move would level the playing field and not favor homeowners over renters. But like all major tax reform proposed during the last 20 years, it sits on the shelf, waiting for a Congress to take action. "It won't happen this year," Fichtner says. "It's an election year and no one wants to stick his neck out." Well, there's always next year. One can hope. Note: The views and opinions expressed in this article are those of the author and do not necessarily reflect the opinion or position of AOL. Bonnie Lee is an Enrolled Agent admitted to practice and representing taxpayers in all 50 states at all levels within the Internal Revenue Service. She is the owner of Taxpertise in Sonoma, Calif., and the author of Entrepreneur Press book, Taxpertise, The Complete Book of Dirty Little Secrets and Hidden Deductions for Small Business that the IRS Doesn't Want You to Know. Her new e-book Taxpertise for the Creative Mind Murder, Mayem, Romance, Comedy and Tax Tips for Artists of all Kinds is available at all major booksellers. Follow Bonnie Lee on Twitter at BLTaxpertise and at Facebook.